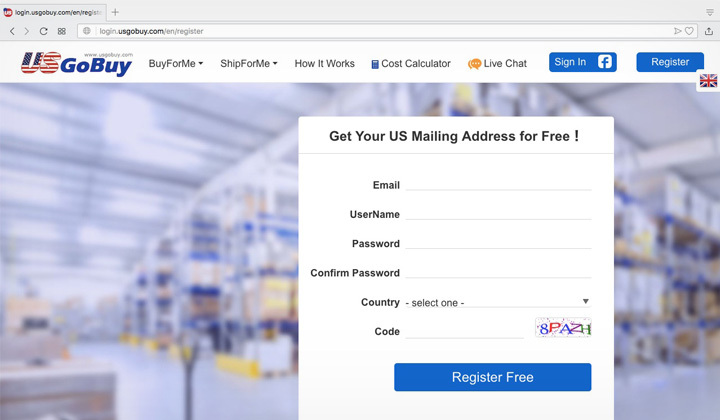 USGoBuy , the mail and package forwarding services at usgobuy.com offers a “refer to a friend” service, providing a link that you can register with to receive a coupon. Click here to sign up with USGoBuy sign up bonus discount coupon. Please note, if you’ve logged into an USGoBuy account previously, please clear cookies first from your web browser and then click on the link. The link has been verified working, if you have any problems with it however.. just let me know in the comments and I am happy to help. Here are simply instructions on how to obtain the coupon, but basically it’s as easy as just going through the invite link before registering a new account. 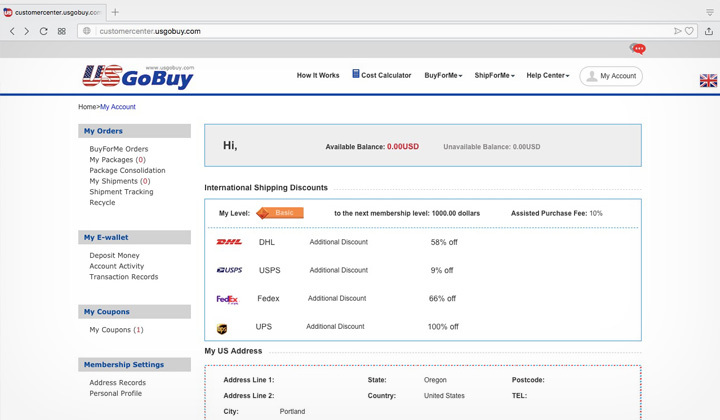 If you’ve had a previous account with USGoBuy or used the web browser to login to other accounts. I suggest clearing your cookies or using another web browser. Step 1. Click here to open USGoBuy invite link. Step 2. Fill in the registration box with your details. Please note, there will be no notice about the coupon offer and you’ll simply see the regular registration fields. But coupon discount has been applied! Step 3. Click on the blue “register free” button. Please note, just click on the button once. It may take some time for it to take you to the next screen. So a little patience is required here. Step 4. You are taken to the USGoBuy My Account screen for the new account. Step 5. Click on the “My Coupons” section on the left. If clicking on the invite link worked successfully (and you remembered to clear previous cookies), it will display one free discount coupon in red. Step 6. 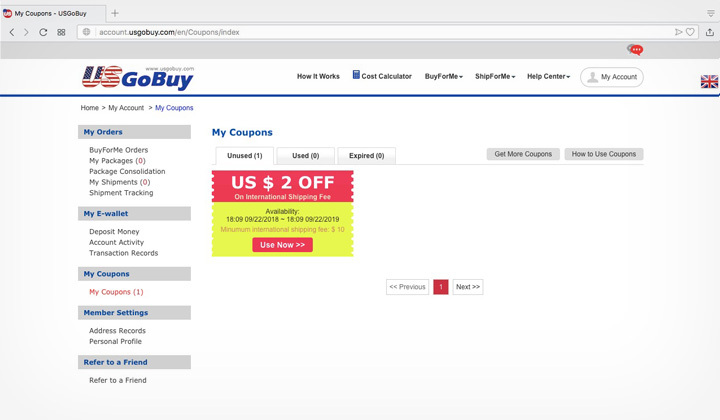 You will see the available, unused coupon in “My Coupons”. Please note, that which coupon and what kind of discount that is applied to the shipping cost can vary, as offers change depending on season. Step 7. Click on the red “Use now” button to apply the coupon to an order. And that’s pretty much it. 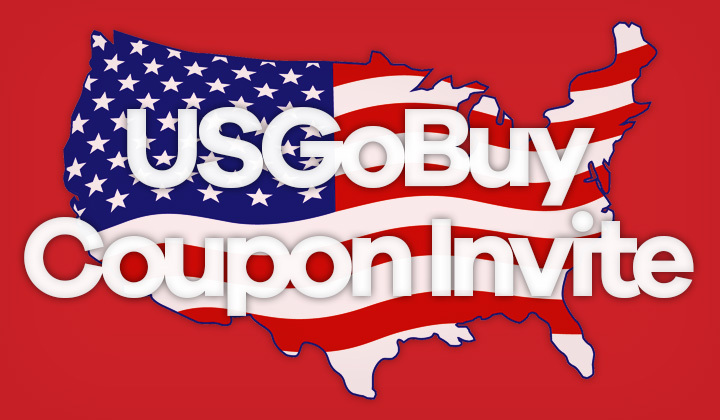 The easiest way to grab a discount for new USGoBuy accounts by signing up through an invitation link. Enjoy the coupon. Want to know something about discounted package forwarding? I’m happy to answer your concerns or questions. Thanks for reading, and for your understanding that some links may potentially be affiliate links. This financially supports the blog and my work. Cheers! I am also a participants in the USGoBuy “refer to a friend” program.